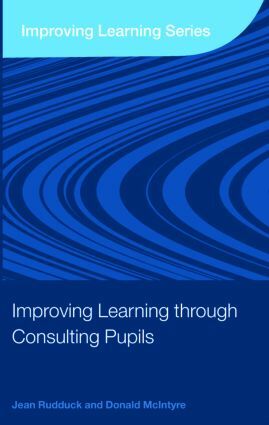 Pupil consultation can lead to a transformation of teacher-pupil relationships, to significant improvements in teachers' practices, and to pupils having a new sense of themselves as members of a community of learners. In England, pupil involvement is at the heart of current government education policy and is a key dimension of both citizenship education and personalised learning. the things that can get in the way of pupils trusting in consultation as something that can make a positive difference. While consultation is flourishing in many primary schools, the focus here is on secondary schools where the difficulties of introducing and sustaining consultation are often more daunting but where the benefits of doing so can be substantial. This innovative book will be of interest to all those concerned with improving classroom learning. Jean Rudduck and Donald McIntyre were both Professors of Education at the Faculty of Education, University of Cambridge, UK. Both of them retired in 2004, but continued to work. Sadly, Jean Rudduck died on 28 March 2007, shortly after completing this book, and Donald McIntyre died on 16 October 2007, just before it was published.